Founder, President, CEO of Spinal Resources, Inc. Please join Family Office Insights for this luncheon on Tuesday, June 12th 2018 at 12PM. If you care to join us, please email admin@familyofficeinsights.com. 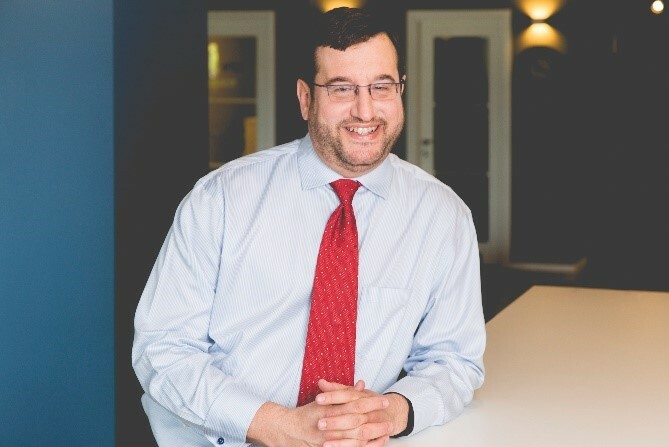 Family Office Insights sits down with Bernard M. Bedor of Spinal Resources, Inc. to discuss how Spinal Resources has been developing its groundbreaking technology with innovative mechanical and biomechanical products to alleviate pain, shorten recovery time, restore health, and extend quality of life. SRI has engineered a unique line of patented spinal and cervical fixation systems for the surgical repair and reconstruction of debilitating spinal conditions. With the ownership of four patents (and two more under consideration), this FDA clearance, and several other promising products in its pipeline, Spinal Resources Inc. is positioned for growth. There is no technology risk or FDA regulation risk and the platform and the entity has been built to scale rapidly with a product pipeline that has been 80% developed. Spinal Resources Inc. has existing clients, a strong sales pipeline, but are limited on scope and scale due to having to manage receivables along with implant expense to build out future sets along with having to hold off on key sales talent that can bring 3-5 MM to the top line due to the need for funding. Tell us about your background and your company, Spinal Resources, Inc. I worked for Johnson & Johnson, which is how I initially got into the spine industry. Upon leaving Johnson & Johnson, I had to pause working in spine due to a non-compete that was in place with the existing depuy spine distributor in Orlando. During the non- compete period which was one year I worked for ADAC Labs, which was the acquired by Phillips Medical Systems selling Gamma Cameras, MRIs and CTs. Once the non-compete was over I then picked up a line of implants from Blackstone Medical out of Boston where I was the master distributor and converted the Depuy Spine business over to Blackstone and grew the business to over 3.5 MM dollars annually. I was with Blackstone for over 5 years until Orthofix acquired them in and then became an exclusive spine distributor for Orthofix through 2017. In 2009 Spinal Resources began selling through a stock and bill model where we purchased product from existing spinal implant manufacturers and private labeled it under the Spinal Resources Inc. umbrella. Under this model we used Orthofix for our primary line and supplemented it with higher margin items that we purchased and resold through our ever-expanding distribution network by converting competitive business by paying higher commissions and paying the distributors faster than the larger companies. During this growth the entity grew from $3MM to over $13 MM in revenue. At the time Spinal Resources was one of the first entities to enter into this model due to our expansive network along with the cash and reserves to be able to purchase in bulk as well as fund the receivables. Towards the end of 2009 I signed a deal with a large spine company out of California to move away from Orthofix and the Spinal Resources Inc. model and convert all of our business to their proprietary products. This entity took care of the distribution, billing, and shipping for us. Six months into our deal, they capitalized greatly from Obamacare by distributing their own products to hospitals. Due to the changing healthcare environment and the implementation of Obamacare over 80% of our surgeons became hospital employees of the entities where we sold the products and were forced to use the products of the new manufacturer. Due to the surgeons being employees meant these doctors lost the power to find and try new products outside the hospital regulations. This was the first point where physicians were losing control and distributors were getting boxed out. At that point, my instinct was to become the manufacturer instead of the distributor. At this time I was working with a surgeon when I told him I was going to start my own spine company and he told me to make sure I covered the three main pillars: the patient, the surgeon, and the hospital. I started a patent portfolio with novel and innovative technology relating to the spinal implant market. The goal was to develop a unique system that could use three different diameter rods sizes separately or in one long transition rod broken down into three segments with no stress risers and a gradual transition in one screw head to allow for different pathologies intra- operatively giving the surgeon more choices. Clinically this would provide biomechanical benefits, reduce stress on osteoporotic bone and provide more stress to enhance the fusion properties. Four years and $2.5M later, the technological feat was more difficult than anticipated, but in 2017 we achieved FDA clearance and did our first implantation in April of 2018 with Dr. Parker Babington a Neurosurgeon in Virginia Beach Virginia. Today Spinal Resources Inc. is proud to offer a one of a kind Swedge™ Pedicle Screw System that allows for multiple rods in a single-screw tulip with single-locking cap, which effectively locks the tulip’s angle without the presence of a rod that supports cost-effective patient care. We engineered a unique line of patented spinal and cervical fixation systems for the surgical repair and reconstruction of debilitating spinal conditions. With the ownership of four patents and two more under consideration, we are positioned for growth. The FDA’s clearance of the Swedge™ Stabilization System marks the transition for us from design and distribution experts into full manufacturers of innovative surgical enhancements. Who is Spinal Resources’ target market? We have a three-prong approach that includes the surgeon, hospital, and distributor. Our primary target market is the Neuro and Orthopedic spine surgeons, ambulatory surgery centers, GPOs, Independent Hospitals and our distribution network. Our end user is always the surgeon as they are the ones who use and recommend our product. We also sell directly to hospitals through a distribution network. Another revenue stream is private labeling where we allow distributors to purchase the product directly from us in large quantities and pay for the product upfront and bill the facility directly keeping the Spinal Resources Inc. name intact. This model allows us to get revenue up front without having to wait for surgeries to occur or for the facility to pay. The licensing option allows distributors to pay an upfront fee to secure the rights and a royalty on product sold. Under this model the distributor would brand the product as their own and have their own label. The issue for this industry is that it is very capital intensive. Each spinal implant set requires an initial capital outlay for instrumentation along with the implants. While incredibly profitable and high exit value the cost to enter is high. Spinal Resources is committed to the process and has shouldered over 90% of this expense though founder contributions. To be competitive in the market the more variety you give a distributor and hospital, the more revenue you pick up. As an example in our 510 K submission we encompassed 7 different varieties of screws for all types of pathologies and surgeon need. This equals the offering from some of the other companies. However, as an example we don’t have implants for minimally invasive surgery yet due to the need for the capital to fund the sets so we are currently losing revenue and turning down opportunities which will be a large revenue stream for us. It’s $100K upfront cost to fund the initial sets plus 2-3 months of burn rate for the implants. The sets pay for themselves if we get a turn rate 3-5 surgeries per month. The screw we launched makes up 60% of the market, but we want to play in the remaining 40% as well. Spinal Resources is in talks with 2 Vice Presidents from competitive companies who can convert competitive business within a 30-60 day window allowing a large uptick in top line revenue. The capitalization of Spinal Resources will allow us to build out infrastructure and add inventory in order to generate revenue. For us, getting distribution and hospital approval is not an issue. Our issue now is having enough products for our distributors to sell and to get topline revenue on the books allowing revenue to fund future product development and not the capital investment. We have outsourced experts and arrangements with engineers who have worked with NASA and some of the top tier spinal implant companies such as Globus Medical. Spinal Resources has a unique model and infrastructure. We receive world class engineering and design on a contract basis that is more economical than carrying the cost of the employee directly. Spinal Resources is more versatile with less channels to go through compared to larger entities allowing for custom instruments, modifications and prototypes get turned around quicker and into the surgeon’s hands allowing us to be more responsive. We also outsource Quality Control so we don’t have to carry that cost annually but rather as needed for inspections, audits, and FDA and EU submissions. Our key competitors are Medtronic, Globus, Johnson & Johnson and truly any and all entities that have a higher cost to market and more overhead, add this to being the only one in the market who has our technology and it’s a win win. As the market changes Spinal Resources is positioned to be profitable in a technology based market or a commodity based market providing security for our investors. Currently, surgeons are limited by the lack of choice or by implant cost. Today, most hospitals and surgeons utilize 2-7 different implant vendors in attempt to offer what we can in one system. The more multi-dimensional and complex a hospital is, the more appealing we are due to the modularity of the system, reduction in instrumentation and more competitive implant cost. We have chosen a select group of surgeon advisors that use our products and provide us with great feedback from a design and development standpoint as well as intra-operatively. As we roll out more products, they advise and consult specifically on what areas of the spine to focus on and what are areas we should explore. We will also have EU approval by August 2018 and the ROW (Brazil, Japan, Central and South America) by the end of the year or early in 2019 allowing us to further capitalize on changing markets and to offset fluctuations in prices by having a diverse distribution network. Changes in regulations favor Spinal Resources in the world markets, as we will have approvals by the time the changes occur giving us a clear advantage internationally. We will be a pathway for other manufacturers to enter those markets through our clearances allowing us to pick up revenue without carrying any cost. We operate like the large multinational organizations without the huge costs. There are many so-called competitors but many with similar products and few with technology that provides a clinical benefit. I would say that there are 10 spine companies that have unique IP that we compete with. The two biggest ones in are Medtronic and Zimmer Biomet. We are providing ground breaking technology and more surgeon choices at a lower cost enabling hospitals to save money, surgeons to have choice and control of what they use intraoperatively along with providing a benefit to the patient. However, until we get our product into more hands, we won’t be able to dramatically shape the market until we get more capital. We are looking to raise $5-7M. We are willing to oversubscribe and looking for a minimum investment of $500K per investor. We plan to use the capital to ramp up manufacturing and distribution quickly, and keep the balance sheet clean so that we have a solid EBITA for 12 months then begin to shop the entity while we continue to grow top line creating a “need” scenario in the market. Now that we have de-risked the business from the standpoint of technology and human implantation our ideal investor is somebody who wants to be in an innovative landscape, can leverage potential capital market opportunities and understands that growth rate is equal to the amount funded. The goal is to exit in 3-5 years. We have had 2 offers to sell pre-market, pre-FDA at $12M and $15M. The offers we declined due to the terms and length of stay after the purchase. Now that we have FDA clearance and it’s been in the market, we expect to have a minimum of $3M bump in the offers. We plan to shop this back into the market once we begin generating significant top line revenue. Depending on how we structure the raise, it would be nice to have capital available going forward if needed so we don’t have to go out and raise again. An investor with access to additional capital would allow us to seize opportunities as the market changes and allowing us to capitalize on those changes. Currently, we are in between stages as we are slightly beyond VC funding and too early for PE funds due to the conversion from being a distributor to an implant manufacturer, and the lack of earnings on the new product in this early stage. 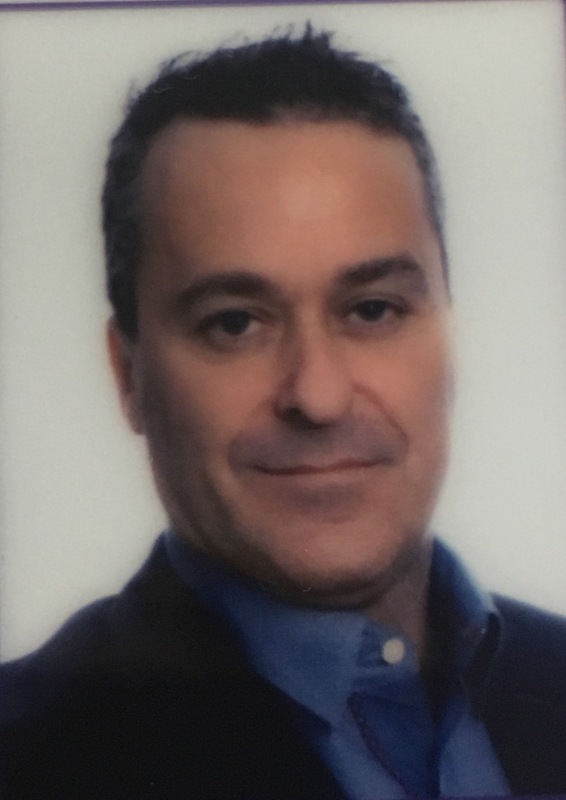 Bernard M Bedor, Founder, President, CEO– graduated from Wilbraham and Monson Academy (MA) and has a Bachelor of Science in Embryology, Biology and Sports Medicine from Westfield State University, Yale University School Of Management and over 16 years in the spinal implant market place. Northwestern University Kellogg School of Management MBA. If you have any questions, please contact Bernie at BernieBedor@SpinalResourcesInc.com.